Want to become more flexible? Practicing yoga can benefit your mental and physical health, increase your strength, balance and, yes, improve your flexibility. Be sure to focus on your breathing and practice proper form before moving on to more challenging poses – like everything worth doing, yoga takes time to master. 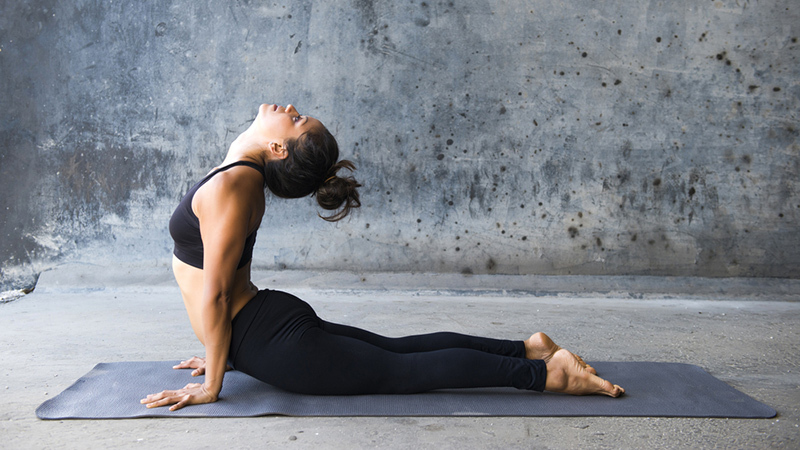 Get started with these beginner yoga poses for flexibility. Start by standing with your feet together and your arms at your sides. Keep your shoulders back and your back straight. Distribute your weight evenly through your soles and breathe deeply, focusing on maintaining your posture. You can also raise your arms above your head, parallel to each other. For added difficulty, lift one leg up, bending at the knee, and place the foot on the opposite leg to form a triangle. Hold the pose for 30 seconds, breathing evenly. Get on all fours on a mat in tabletop position. Move your hands forward a few inches and raise your hips toward the ceiling, resting your weight on the balls of your feet. Your body should form an upside-down V with your knees slightly bent. With practice, you should be able to press your heels against the floor in this position, though your hamstrings may be too tight to accomplish this at first. Hold the position for a few breaths, then relax. 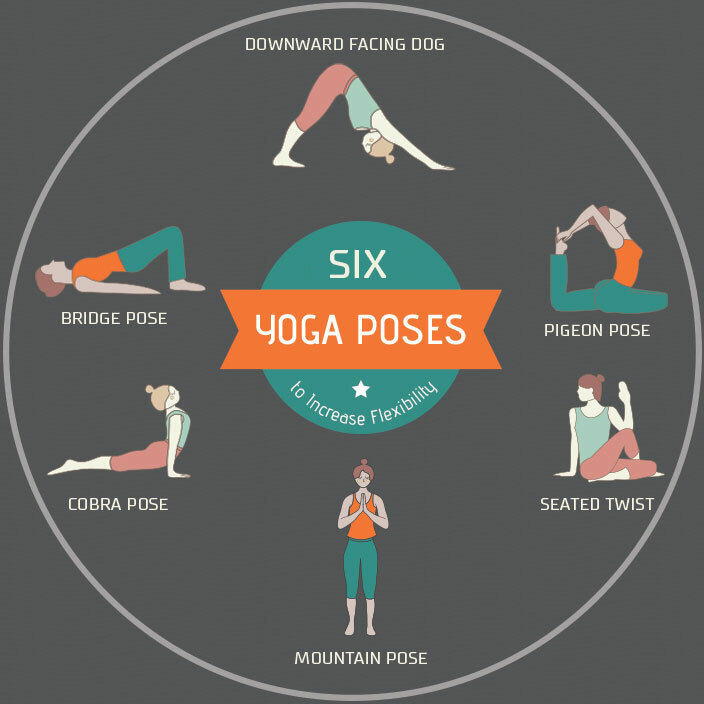 Start this pose by lying facedown on the floor with your hands flat on the ground next to your shoulders. Raise your chest up, pushing your weight through your hands, until your chest faces forward, like a snake rising. Hold the position for a few breaths and then relax to the starting position. Sit on the mat with your legs extended in front of you. Cross your right leg over your left, and put your right hand on the floor beside you. Then, position your left elbow on the outside of your right knee and move your core to twist as far right as possible. Hold the position for a breath and then release. Repeat on the other side. Begin in tabletop position. Pull your left leg forward until your left ankle meets your right hand on the floor, and extend your right leg back flat against the ground, keeping your hips square. Put your hands on the floor on either side of your body and lift your chest up so you’re facing forward. Hold the pose for a few breaths and then relax. Start on your back with your knees bent and your feet planted on the floor. You should be able to touch your middle finger to your heels. Lift your hips up off the floor, and bring your hands together under your back. Hold the position for a few breaths and then relax. A regular routine of yoga practice can really improve your flexibility, but you should always know your limits and never push yourself too far. An injury such as a sprain or muscle tear could set you back and cause a lot of pain. As long as you keep practicing, you’ll achieve your goals, so be patient and enjoy the process.